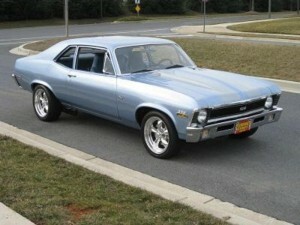 Dave bought his 1970 Nova three years ago after convincing his wife that he needed a good gift for his 31st birthday. 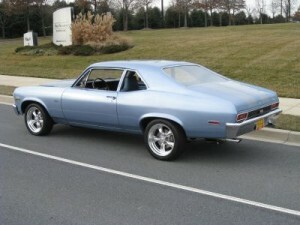 It was built as a tribute car to the late great Fred Gibb (the famous Chevy dealer/builder of the infamous COPO Nova) and the car is actually signed by his wife Helen. The Nova is powered by a 396 big block bored .30 over with comp cam, roller rockers, Muncie 4 speed, 12 bolt rear with posi, and 3:55 gears. 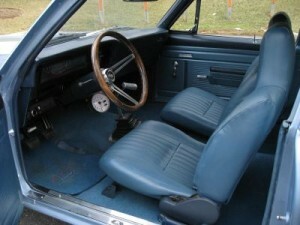 The interior has been slightly modified with bucket seats and Autometer gauges. 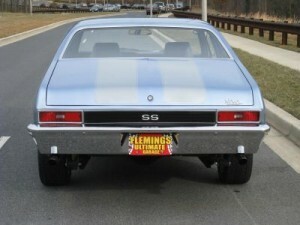 It rides on 17″ Torque Thrust wheels and has Lakewood traction bars. 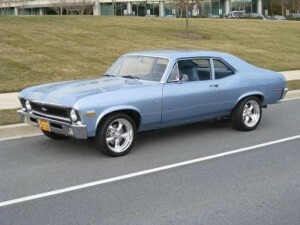 The Nova was purchased mostly restored, but Dave isn’t completely satisfied with it, so he plans on doing some major adjustments in the future. 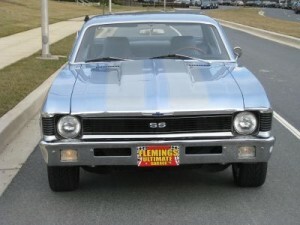 The suspension, brakes, interior, paint, engine, and transmission with all be gone through with pro touring performance in mind. 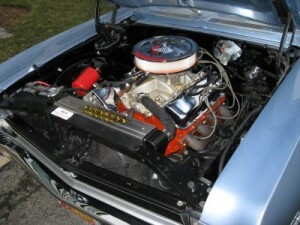 The body is rust free and in great shape but there is always something more to do! If it looks this good, we can’t wait to see what it looks like after the upgrades!